Matthew sees his clients not as customers, but as lifelong friends. If you feel intimidated or overwhelmed by your circumstances, Matthew will create a relaxed environment as he works on your behalf. In his role as founding partner and Financial Advisor, he specializes in retirement distribution strategies as well as business planning. Before founding Strive Financial Solutions, Matthew spent 11 years working in several roles in the financial services industry, including as an Investment Advisor Representative and in managerial roles working as a Registered Principal where he was responsible for training new advisors. 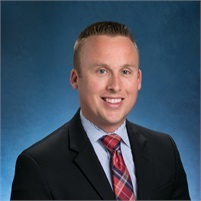 Matthew is a Registered Representative with Kestra Investment Services, LLC and an Investment Advisor Representative with Kestra Advisory Services, LLC. Matthew enjoys spending his free time with his wife Tracey, an air traffic controller for the FAA, and their three dogs: Cooper, Hercules and Toby. Matthew and Tracey also volunteer for the Angels Among Us Pet Rescue to save dogs and cats from high kill shelters. And as an alumnus of the University of Georgia and native Georgian, he loves Georgia football.